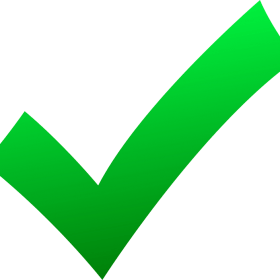 Purchase this product now and earn 13 Empire Points ! 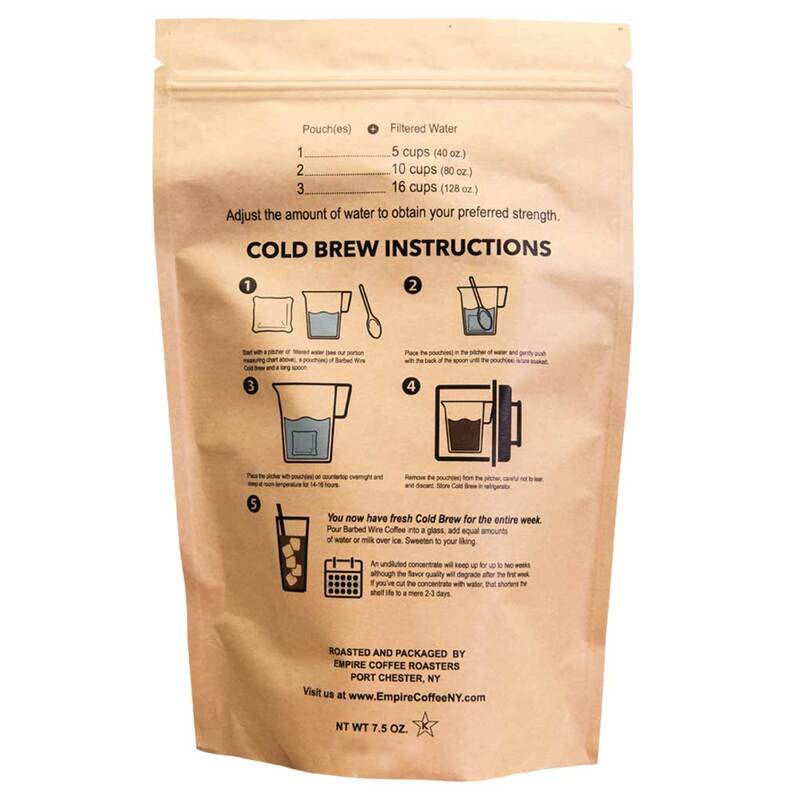 Barbed Wire Cold Brew coffee pouches are the perfect way to make cold brew at home. NO mess, EASY to use and FULL of concentrated flavor. 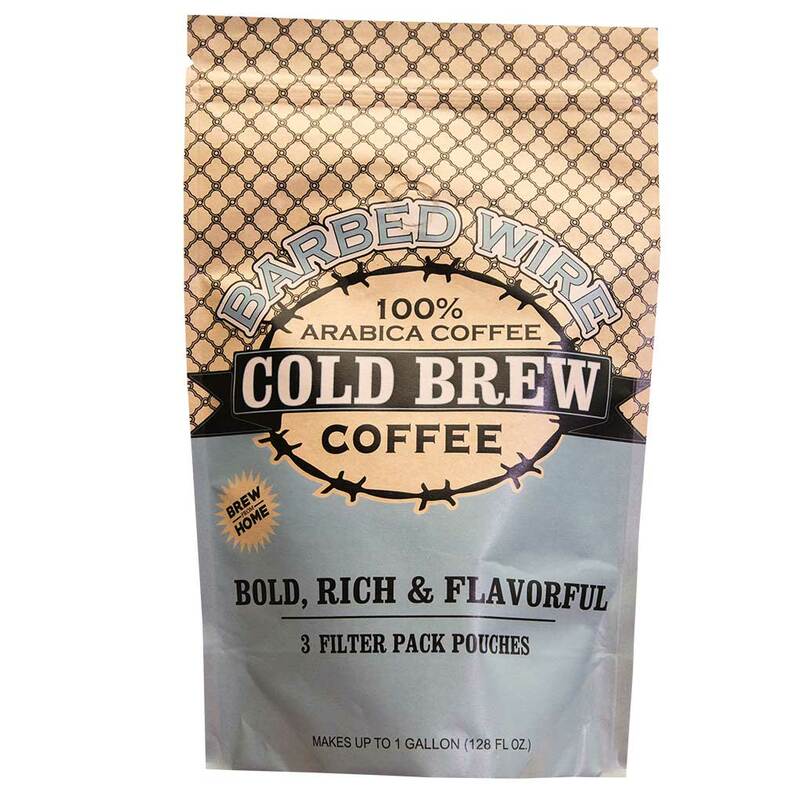 You’ll enjoy a rich and flavorful cold brew concentrate that is less acidic than hot brewed coffee, and can be used in a variety of ways from iced coffee with milk and sugar to an Americano. 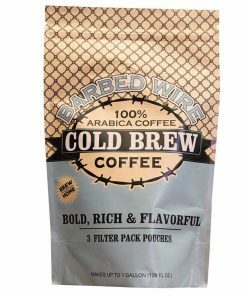 You can even use Barbed Wire Cold Brew coffee concentrate in cakes and cookies. 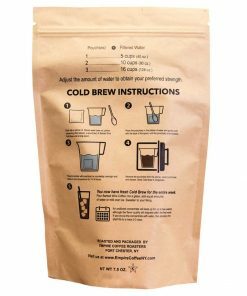 Each bag of Barbed Wire Cold Brew comes with three pouches to make up to one gallon of cold brew concentrate. 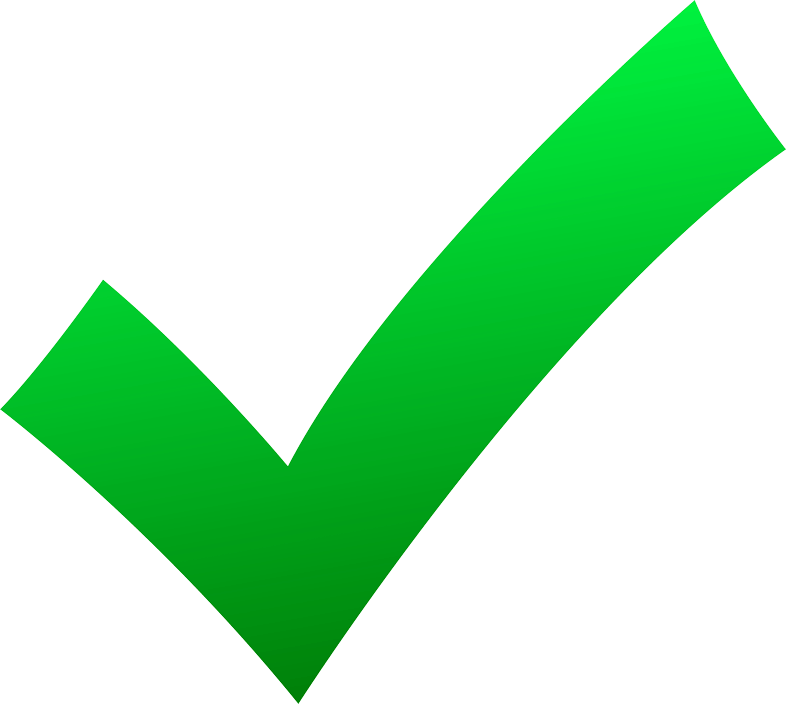 All our coffees are roasted and ground do help facility the appropriate amount of extraction in order to get you the best, richest taste possible.